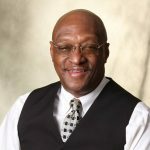 Calvin B. Joyner Bookkeeping & Accounting offers bookkeeping, accounting, payroll, and tax services. They are Certified QuickBooks Online Proadvisors and can help with QuickBooks setup, training, and troubleshooting. Work For Calvin B. Joyner Bookkeeping & Accounting? Claim This Page.